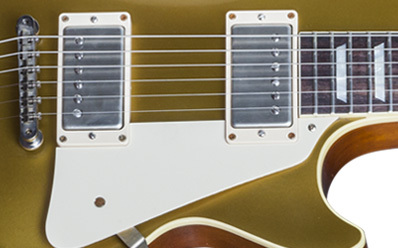 When PAFs Meet Goldtop, Rock is the Result! 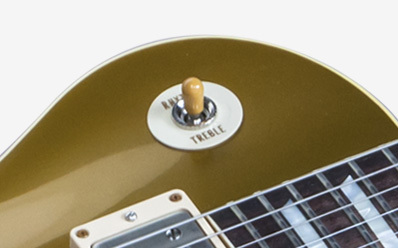 The Essence of the beloved '57 Goldtop with PAF-style Custom Buckers, crafted to capture the look, feel and tone of a legendary incarnation of the fabled '50s Les Paul. 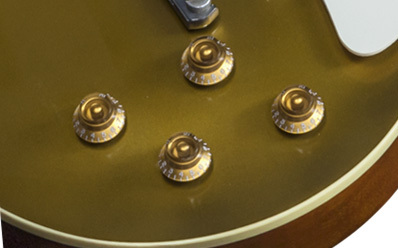 VOS Appointments Bumble capacitors, historic spec wiring and vintage reissue components throughout assure 50's inspired tone. 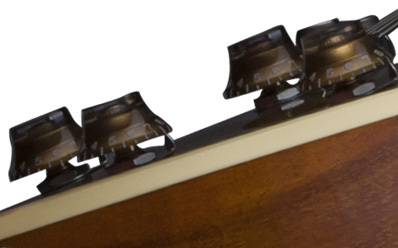 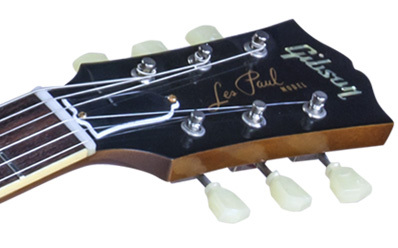 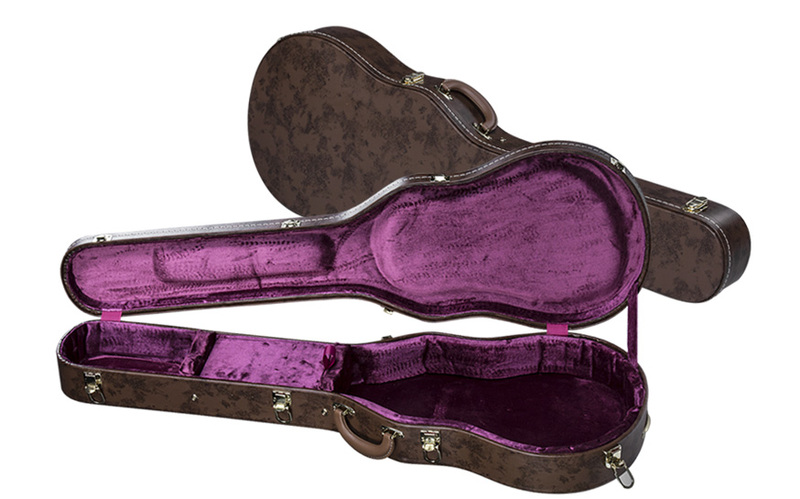 Lightweight Aluminum Tailpiece Made to original 50's specifications for lighter weight and vintage tone and sustain. 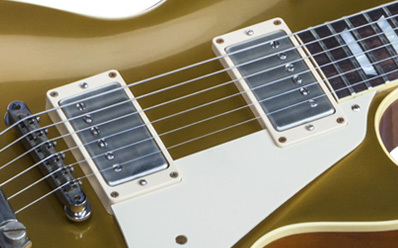 Custombucker Pickups Custom wound to capture authentic chime, pluck and growl of a true Gibson Les Paul. 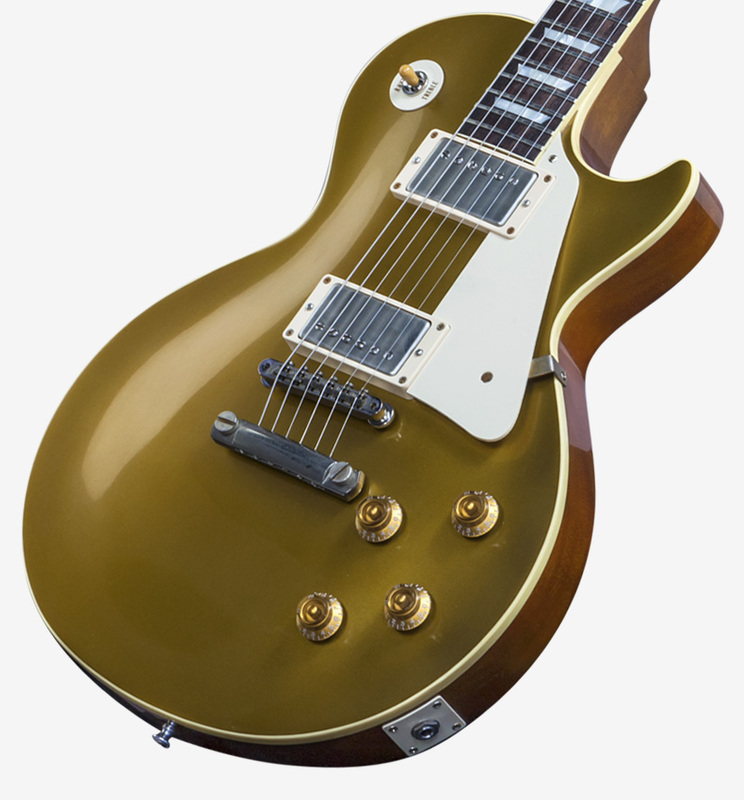 Nitro-Cellulose Finish Hand-applied, non-plasticized lacquer is made to live and breath with the player and develop a personality as unique as its owner. 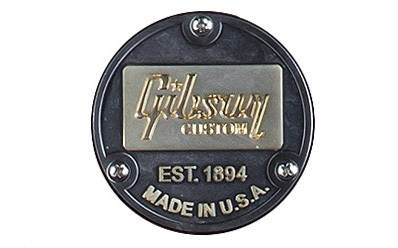 One Piece Solid Mahogany Body Each body is hand selected for lightweight and quality by Gibson Custom. 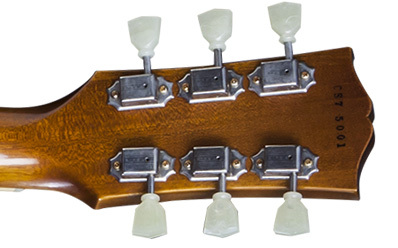 Solid Indian Rosewood Fretboard Single layer, solid rosewood insures an ideal playing surface for 50's inspired playability. 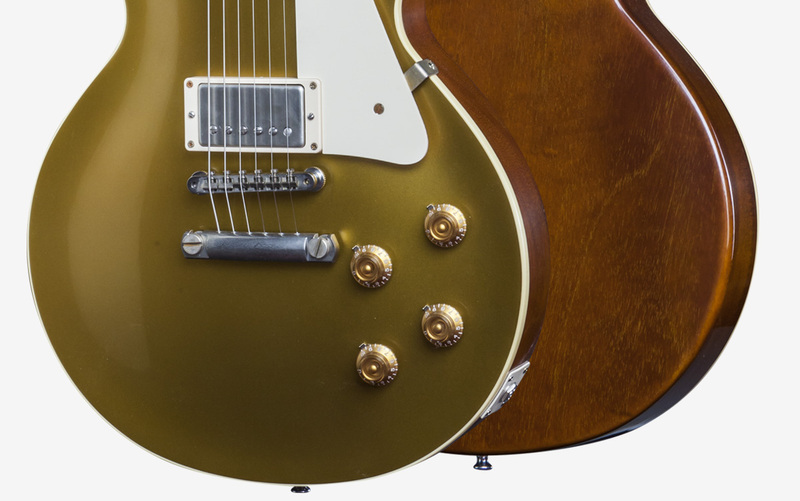 The legendary Les Paul evolved throughout the 1950s, but the major ingredients really came together when the Goldtop with Tune-o-matic bridge gained two sweet, rich PAF humbucking pickups to become the most revered weapon in rock. 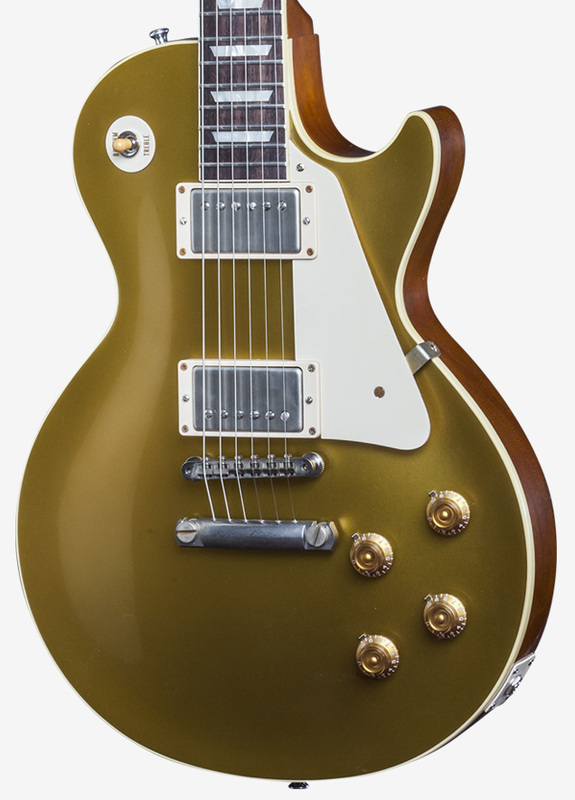 The 2015 CS7 '50s Style Les Paul Standard VOS brings together all the key ingredients of the hallowed '57 Goldtop, crafted with Gibson Custom's recently adopted Historic Specifications to ensure period-correct looks and features. 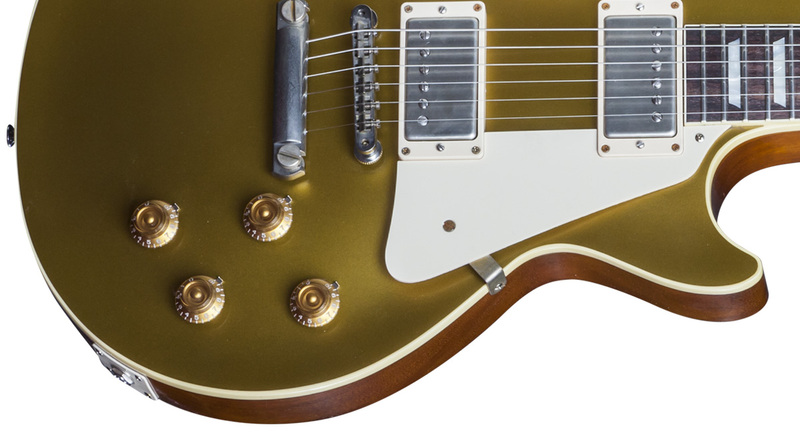 Select tonewoods, an accurate '50s neck profile, and two outstanding Alnico III Custom Bucker pickups join a Goldtop finish with gently aged VOS treatment to bring you a superb '57-style Les Paul. 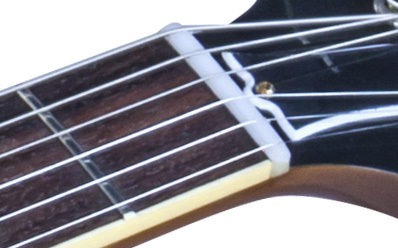 E: 0.1778 cm / 0.070"
A: 0.13716 cm / 0.054"
D: 0.1016 cm / 0.040"
G: 0.0635 cm / 0.025"
B: 0.0508 cm / 0.02"
e: 0.0381 cm / 0.015"